Learn how to make slaw recipes. This is the American “slang” for the original Dutch coleslaw. This was historically, since the eighteenth century, the Dutch description of a salad made with shredded cabbage. Sometimes it was made with a vinegar and oil dressing and sometimes with a creamed dressing. It might also include some other vegetables and spices for seasoning but the main ingredient was cabbage. Firmer textured uncooked vegetables, like cabbage, do not absorb the flavor of added seasonings in salads. By finely shredding or grating, the vegetables in salads are able to be immersed in the wonderful flavors of the dressing. Americans have learned how to make slaw recipes and have expanded this method to other vegetables besides cabbage. 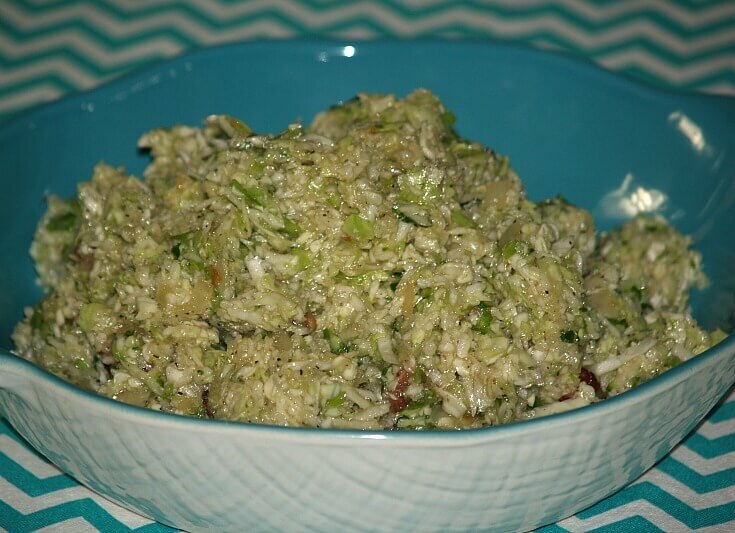 Broccoli salad is much more flavorful when the broccoli is cut very fine; or made into a slaw. 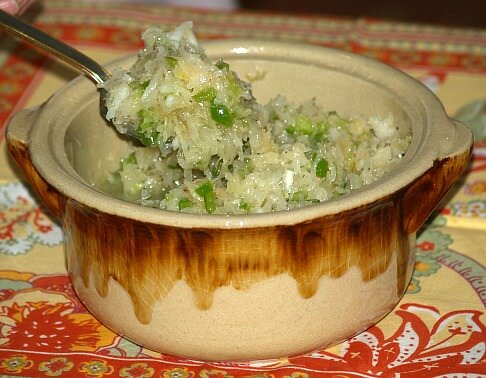 Try the flavor of the recipe below; this can also be used for cauliflower. The best way for me to shred the broccoli and cauliflower is with a sharp knife on a cutting board. After washing and draining (as dry as possible) the vegetable heads, I break apart the floweret. I then start cutting as thinly as possible. This takes time but to get this flavor is worth it. The carrot is another vegetable which makes a great slaw. You have probably already noticed that when carrots are cut too think for salads, they do not hold any of the good salad flavors. They are perfect for making slaw. When the carrots are shredded or grated, the taste is wonderful after blending with the other ingredients. 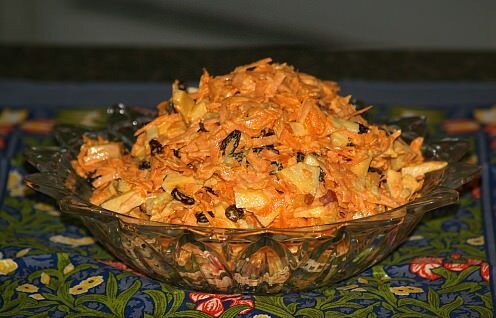 The kraut recipe is another slaw which is very tasty. This is easy to make because the sauerkraut is already thinly shredded so the work of cutting is done; simply add the other ingredients. When you learn how to make slaw recipes you will find this method is not limited to vegetables. The firmer fruits like apples can be made into slaw and the taste is great. In a large bowl, combine the cabbage, vinegar, sugar and mayonnaise. You may need to mix with hands to blend thoroughly. (Wash hands with hot soapy water before using hands or use plastic gloves). Season with salt and pepper. Cover and refrigerate for several hours. You could also add a few shredded carrots for eye appeal. 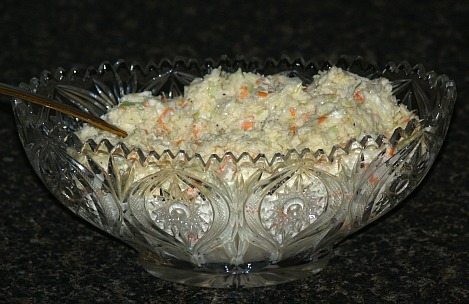 Many of the slaw methods have a cream base and are served as a cold slaw. Toss grapes and cabbage together; cover and chill. Combine orange juice and water in a small saucepan; blend in the cornstarch, mustard and salt. Cook stirring constantly over medium heat until mixture boils. Stir a small amount of hot mixture into the beaten egg; return egg mixture quickly to hot pan. Cook over low heat stirring until mixture thickens; remove from heat, blend in lemon juice and then refrigerate until cold. 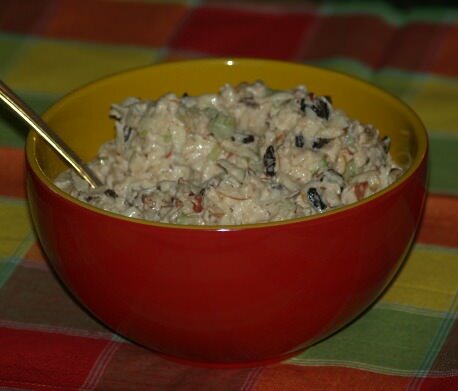 Blend in sour cream and toss lightly with cabbage and grapes. Cut the bacon in small pieces and fry until crisp; drain on paper towel. Sauté the onion in the bacon drippings until golden brown. Combine the sugar, flour, salt, pepper and stir into the drippings. Gradually add the vinegar and water; cook slowly stirring until thickened. Add the bacon to the sauce and heat; pour over cabbage and toss to coat. Cut broccoli into mixing bowl; chop red onion into mixing bowl. Add raisins, bacon and grated cheese. Combine and blend sauce ingredients; mix with vegetable mixture. Before serving toss mixture again. Mix all ingredients except for salad dressing; let stand 24 hours. Drain off liquid and add Italian dressing; refrigerate. NOTE: This keeps well in refrigerator. Wash, core and shred apples; toss lemon juice with apples in bowl. Add celery and raisins and toss together with apples; cover and chill. Before serving add nuts and salad dressing; toss lightly and serve on lettuce leaves. Combine carrots, apples, celery and raisins in large bowl; mix well. Add salt and mayonnaise; blend well. Cover and chill; serve on lettuce leaves.